Journey to Andromeda! Sara Ryder makes her way into the Mass Effect Universe, and also into your collection as a 7-inch action figure! The Mass Effect: Andromeda Sara Ryder 7-Inch Action Figure features over 12 points of articulation for dynamic posing. The figure also includes alternate helmetless head and primary Camifex Assault Rifle. 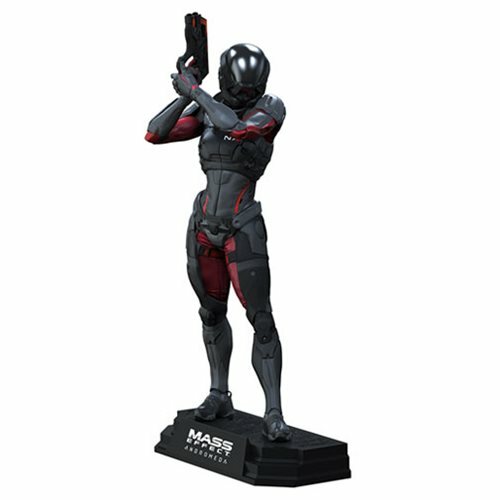 Figure features stylized Mass Effect: Andromeda branded display base. Ages 12 and up.